This post is brought to you by Crossoint Community Church. Are you new to the Lake Country/Waukesha County/Metro-Milwaukee area? Are you a new mom? Are you at a new stage in life? Are you looking for moms groups or other moms to meet up with and playgroups to join with children the same age as your children? Trust me, moms need a village. Just a few years ago, I gave birth to my first born. It was then that my husband and I decided that I would be a stay-at-home mom. I loved spending all that time with my new baby, but after awhile, I missed adults, my old co-workers. Taking my baby to lunch dates with my former co-workers was not cutting it. 😉 I enjoyed them, but we were not in the same stage of life. When my oldest was six months old, I joined a local mom group, and it was the best decision ever for my mom-sanity. I found my mom tribe, a village to help me in the trenches. Moms need a village. Have you found your mom tribe? Check out our list of local mom groups and play groups below. 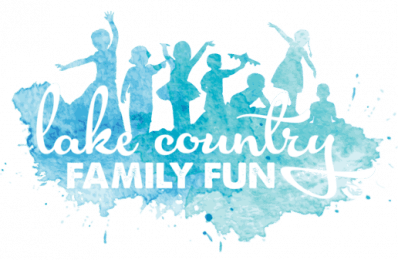 Lake Country Family Fun has compiled a list of moms groups and play groups in the area. Are you a member of a local moms group or play group? We would love to hear feedback from you on your experience with your mom group. Tell us below in the comments! Come enjoy breakfast, small group time and keynote speakers who present topics relative to becoming the mom and woman Christ intends for each of us to be. MBD is for mothers of all ages with children of all ages. Join us anytime throughout the year. Childcare available for a nominal fee. Oconomowoc Newcomers & Neighbors is a social women’s club in the Lake Country area of southeast Wisconsin, and they would love to have you join them. Whether you are new to the area or have lived here for years and enjoy meeting new people, they have something to offer everyone. Their primary goal is to enrich the lives of all members by providing varied social activities throughout the year where their members can meet new people and socialize with new friends. The moms and tots group includes monthly events/outings and weekly playgroups. Follow their Facebook page here. They meet every Monday and Friday from 9:00 am – 11:00 am in a bright friendly room at the Watertown Family Center. Kids birth to five and an adult are welcome to enjoy free play, a special activity and snack. Many social and educational opportunities present themselves during your time together. Free and no registration required. They also have an open gym every Thursday from 9:00 am to 10:30 am. Children five and under are encouraged to run, jump, slide and have fun with an adult. We provide balls, slides, scooters, and more. Free and no registration required. Please bring gym shoes or wear socks. More information can be found on their website. Come meet your neighbors at this free weekly community playgroup. This family playgroup is geared towards children 2-4 years old, but younger siblings are welcome to attend. Play group will be held at Hartland North Elementary, 232 Church Street, Hartland. Held every Friday that school is in session from 9:30 to 10:30 am. The Laker Playgroup is a fun, educational playgroup facilitated by the same master educators who teach at ULS. Activities include art, music, Spanish and nature exploration. Each class meets in our specially designed preprimary spaces, where parents and toddlers can explore, create and discover together. They meet on Wednesdays from September 19th through December 19th from 9:00 to 11:00 am. Register here. The early years of a child’s life are full of wonder and joy while also being the most critical years of development. Parent-Child Playgroup at Prairie Hill not only provides children a rich environment for exploration and play, but also offers parents support in creating a healthy home life. Deepen your relationship with your child as you enter their world of imagination, initiative, and wonder. Enjoy this opportunity to increase awareness of your amazing role as parent, and learn creative and simple ways to support your child’s developing capacities. Classes are offered FALL 2018, Spring & Winter 2019. Fees apply. Please view the schedule to register. They are about 80 members from the North Prairie, Eagle, East Troy and Mukwonago area. They do special kid events, moms nights out, book club, playdates, meeting at park days, and currently have 2 playgroups that meet every other week. Everything is completely voluntary so members can participate as much or as little as they wish. New members are always welcome. It is a free support group of moms. Contact Krista Galbraith for more information. This is an online support group that has occasional gatherings for moms who have a child less than one year old who may be experiencing postpartum depression or anxiety. They run a drop in play group every Friday morning during the school year from 9:30-10:30 a.m. They also offer an Alphabet Adventures program on Tuesday’s from 9:30-10:00 am. Moms are invited to stay with their kiddos and participate. All programs are free. They are a group of very active stay-at-home moms living in Waukesha County, WI. They offer a wonderful opportunity to develop a great support system and lasting friendships for themselves and their children!! They are the longest operating, most successful moms/kids group in Southern Wisconsin. They pride themselves in maintaining a quality group, establishing life long relationships, and boast highly attended events all year long. *Currently at maximum capacity. Apply for waitlist. The Milwaukee West Chapter consists of mothers from mainly the Milwaukee and Waukesha counties. Today, Milwaukee West is an active group of over 80 members that offers a wide variety of special interest groups, and a full slate of daytime & evening activities. Meetings are held the 1st & 3rd Tuesdays of each month. All meetings begin at 7 p.m. and are open to visitors! They meet at Christ the King Lutheran Church, 4600 N. Pilgrim Road, Brookfield, WI. (Note: They are not affiliated with the church). This group is for stay at home moms in Waukesha and Waukesha County. There will be play dates, mom’s night outs, and events will be posted on this page along with discussions. Contact Katie S. or Ashley F. C. for more information. A group for moms in the Lake Country area who are looking for general support or just things to do with other parents! Meets at the Oconomowoc Memorial Hospital every 2nd Saturday of the month. More details here. MBD – Mom’s by DesignMeet with other moms of all ages, with children of all ages. Hot breakfast is served while you listen to engaging, professional speakers. Childcare available for a nominal fee. Meets every other Tuesday starting September 11th, 2018 – May 14, 2019. Contact Liz@crosspointwi.com with any questions. Time for Tots is a program at Zion Lutheran Church and School in Hartland designed for the caregiver and child that teaches the basic truths of God’s Word to the youngest of God’s children. Every family will receive a “Read with Me Bible” so that you will have opportunity to conduct a wonderful devotion at home with your entire family. Time for Tots includes social play, Bible story, music, snack, art and gym/outdoor time. It is open to all children 5 and under, and involves BOTH the grown-up and the child. This class meets once a week from 9:00-10:30 am and you can choose to attend on either Tuesdays or Thursdays from September – April. We kindly request a $30 donation per family/per semester which includes the materials for the program as well as the children’s “Read with Me Bible”. Please register for either Tuesday or Thursday mornings by calling Zion’s office at 262-367-3617 or emailing adaniels@zionhartland.org. If you would like more details, a copy of our monthly newsletter the Tots Tattler, and to view photos of past sessions, click here to visit the website. Join Lil’ Pumpkins’ Learning Time @ Reformation for this special time specifically designed for children, 6 and under, accompanied by an adult, to play, learn, and enjoy theme based learning centers, books, and songs. Each session includes activities and circle time that develop the whole child, focusing on cognitive, physical, social, emotional and spiritual growth. Centers will include the following content areas; literacy, math, science, sensory, creative art, cooking, dramatic play, fine motor, and large motor. Mid-Morning Class 10:00 – 11:30). The fall session runs from Friday, September 7 to November 30, 2018. All sessions of Lil’ Pumpkins are FREE! Many thanks to our generous sponsors! Click on this link to register! They offer a unique learning experience for both parent and child. Activities are age-appropriate for children 18 months to 4 years, but infant siblings are welcome to attend. A parent, grandparent, or caregiver attends with the child. Power Hour classes are held in 2 eight-week sessions, fall and winter, on Wednesdays from 9 to 10 AM. Preschool Power Hour classes are held on certain Wednesdays from 9:00 am to 10:00 am. Register here. They meet around 10:00-11:30am Friday mornings in the main entrance to St. Charles Church. If it’s nice outside, they usually go for a walk and/or head to a nearby park. If it’s cold or rainy, they hang out at the parish in the Borromeo Room. They have a casual atmosphere with a “come and go as you please” feel. Bring the kids and come for some fun & fellowship! Many moms bring toys to share and if inside, the room is big enough for kids to move and run, while the moms enjoy conversation and fellowship. More details and weekly updates can be found on the Facebook Page “Lake Country Catholic Moms” although, moms of any denomination can attend. Moms Group is an opportunity for women to connect with other moms while we laugh with, learn from, and support one another. They will discuss family, relationships, priorities, friendship, and the presence of God hidden in the everyday. Through a variety of experiences, discussion and prayer, we will grow together in faith and our relationship with God. Come nurture your spirit! Join us on Tuesday Mornings from 9:30-11:00 am. 2018-2019 Dates: Sept. 4, 18; Oct. 2, 16; Nov. 6, 20; Dec. 4, 18; Jan. 8, 22; Feb. 5, 19; March 5, 19 (Mary’s Way of the Cross); April 2, 16; May 7, 21. Childcare is provided, and infants are welcome to stay with moms. Free-will offerings for child-care are appreciated. Please contact Kathy Paro at 691-9170 ext. 137 or parok@stanthony.cc to register for childcare. Walk-ins welcome! Join St. Joan of Arc Parish School for coffee and meet the parents, faculty, and other community members. Toddlers are encouraged to attend and channel their energy playing in the beautiful gym. This group kicks off on April 9, 2019. They will meet every Tuesday from 9:00 am to 10:00 am. Children from 0-5 years of age and their caregivers are welcome. Mom Time is a weekly gathering for moms to take a break, grow together and feel renewed. It’s a time for working moms, stay-at-home moms, single moms and all the moms in between to connect and develop friendships. This ministry is FREE and they do have paid childcare available. They meet Tuesday AM’s or Wednesday nights. This group meets the 1st & 3rd Tuesdays of the month September 18 through May from 9:15-11:00 am. *Starting on September 18, 2018. *Grow as individuals and in faith through friendships, service projects, guest speakers, Mom’s Night Out, playdates and much more! Every other Wednesday, from September 12, 2018 to May 15, 2019, 9:15 AM – 11:30 am. If you’re a mom of a kiddo from birth through elementary, then Elmbrook Moms is for you! Our mornings begin at 9:15am with a shot of hot coffee and uninterrupted conversation. Then we add an eclectic mix of speakers: experienced moms, parenting experts and helpful professionals who will help us explore our homes, marriages, relationships and emotions. Finally, we stir in some great discussions where we have the opportunity to walk together and inspire one another! There is no fee for this program. Register online, but walk-ins are always welcome, so invite a fellow mom! MOPS is an outreach ministry serving women in the church and surrounding community, and meets the 2nd and 4th Tuesday of each month (9:15 to 11:00 a.m.) from September through May. The primary focus is fellowship, support, and encouragement among mothers of small children. Contact Melissa Jongetjes at mopsbcrc@gmail.com. Connect with the growing group of women at Shepherd who are experiencing the transforming power of God’s Love and Grace. Starts Wednesday, September 12, 2018 from 9:30 to 11:00 am. Click the link above to register. An informal group for Moms and their children that meets every Wednesday morning from 9:30-11:30. JAM meets at Oakwood Church in Hartland on Thursdays from 9:00 am to 11:00 am. They have started a new semester (January 2019) and new moms are welcome anytime. Mornings with Mommy is a fun interactive program for children ages birth to 5 years old and their caregivers. Tuesday’s class is capped at 10 moms and their children and centers are set up to explore literacy, music and movement, fine motor, art and sensory exploration. Wednesday’s class has no registration limit and includes story and music time with centers that focus on fine and gross motor, art, craft, and sensory development. A one time fee of $10/family will be collected at the first class of the session. Stop by the Library for a drop-in play time where children and caregivers have the opportunity to play, read together, and interact with other families. Babies and preschoolers with an accompanying adult meet informally on Fridays, 10:00 a.m.-noon from September 7 – December 21, 2018 (NO PLAYGROUP on October 26 & November 30). Simply drop-in and you will find toys to play with and books to read. Children up to three years old enjoy playtime with special toys, including age-appropriate early literacy toys, and interaction with other toddlers and their caregivers. Children must be accompanied by an adult. Meets in the story room on Tuesdays, from 10-11:00 am. No registration needed. Stay a little longer for some together-time play following storytime each day. Discover our cheerful and engaging early literacy learning areas. No registration. Just drop in! Daily Tuesday through Friday, September 6 – November 23, 2106 at 10:30am. For infants to 24 months. Stop by to play with toys and make new friends. Tuesdays at 10:30 am. Program is held in the Harnischfeger Room. Find more library storytime programs here. These are all geared towards stay at home moms. Are there not any groups that are organized on the weekends or afternoon and evenings? Are working moms not supposed to have friends and support too? Hi Allie! Thank you for your comment. You are correct; many of these playgroups are aimed at stay-at-home moms or moms/caregivers that do not have a typical 9-5 M-F employment. 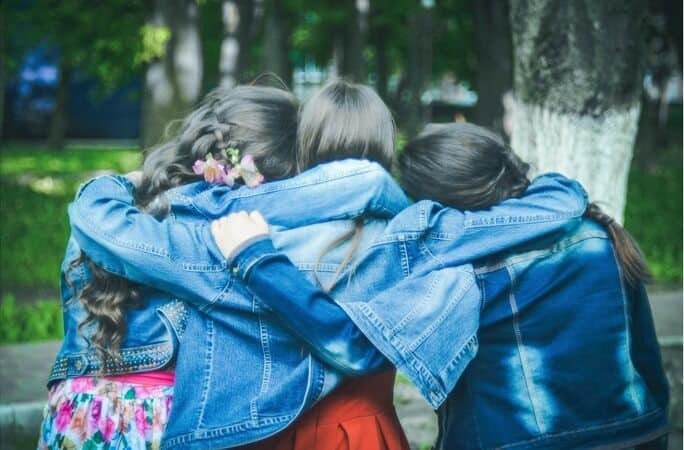 Some of these groups have multiple opportunities for moms to get together for support and friendship. For example, the fall 2017 sponsor, Zion Lutheran Church holds a women’s study group on Tuesday evenings at 6:30 in Hartland. Many of the other church groups listed also hold evening groups or a Bible study group on Sunday. If you are not looking for a church group, the community group, Oconomowoc Newcomers and Neighbors, offers monthly mingles (meetups) that are on Tuesday evenings (without kids), a monthly book club, family events on the weekends, and a couples club to get out of the house for date nights. If you are not from the Oconomowoc area, you can reach out to the community group that you live closest to, to see if they also have evening or weekend options. I hope you are able to find the group that best fits you, and do not hesitate to contact me at lakecountryfamilyfun@gmail(dot)com to help you hook up with a moms group or playgroup that best fits your life. All the best!